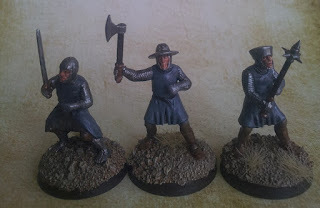 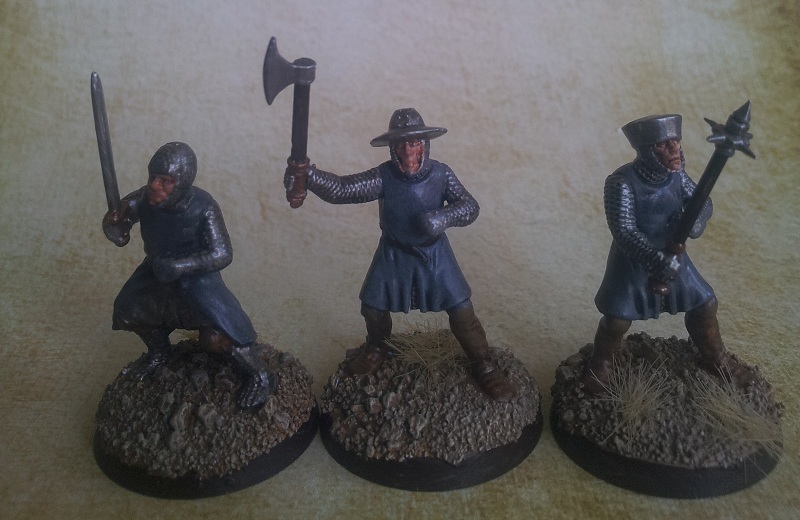 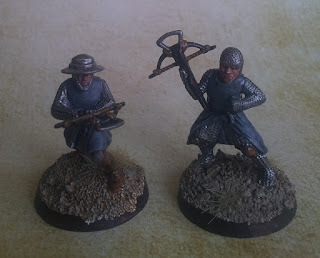 I had a productive last month, one of the things i could complete was my 4pts Milites Christi Warband for SAGA. I choosed the colors of the Teutonic Order, white for the heathguard and a dark gray for the warriors. 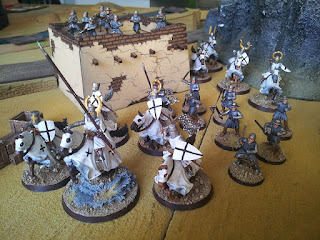 Some close-ups: (i experimented with a setup to get nice shots, but i think the ligthing needs improvement :) ). 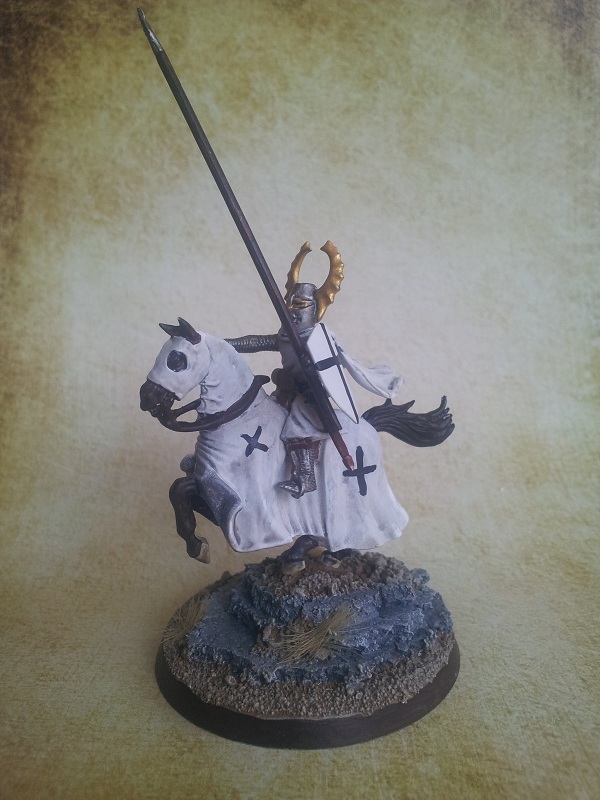 The leader of the warband. 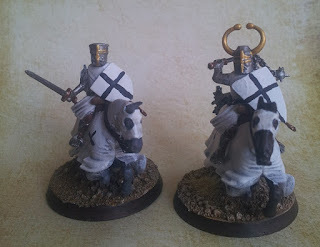 Some of his trusted knights. 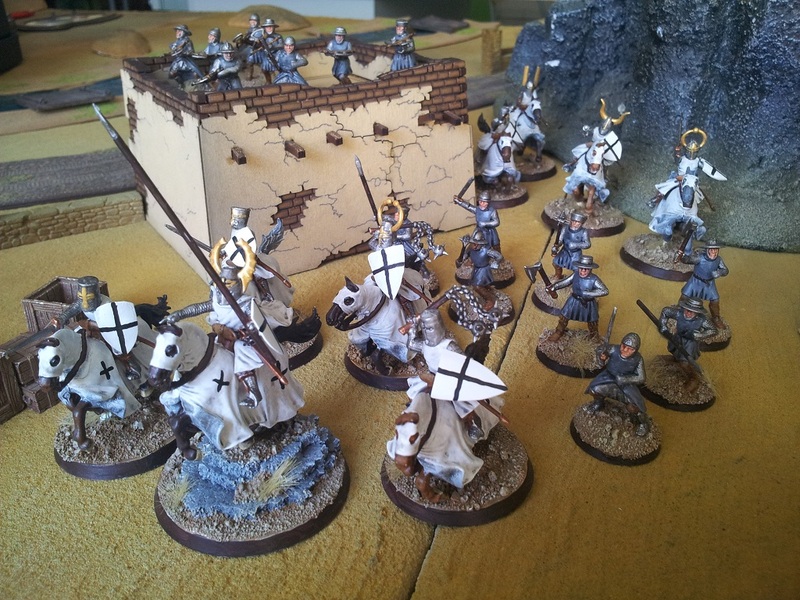 To get to 6pts i have 16 mounted warriors, waiting for assembly in the depths of my hobby chest.